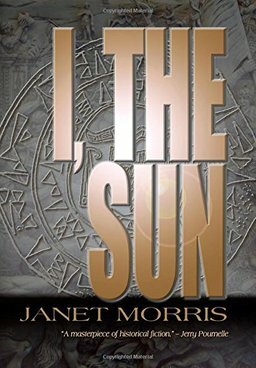 This masterpiece of historical fiction was based on the actual writings and historical records of Suppiluliumas I, the great Hittite king who dominated the Middle East around the 14thcentury, BC. He rebuilt the old capital of Hattusas, and from there exercised his Imperial Power over the Hittite heartland, controlling the lands between the Mediterranean and Euphrates. But he was not a king to sit back on his throne and pull the strings of his minions, advisors and subjects. No, he was hands-on, and long before he became king he made his way in the world, fighting and whoring and playing politics. His military career included dealing with the eastern kingdom of Mitanni, and regaining a solid grip on Syria. 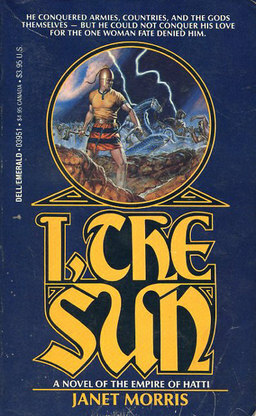 I, The Sun was first published in 1983 by Dell Books, and with this classic story of Suppliluliumas I, author Janet Morris laid the groundwork for her most famous fictional character — Tempus the Black, whom she first introduced in the original Thieves’ Worldseries, and in her own, later novels such as Beyond Sanctuary, Beyond the Veil, Beyond Wizardwall, and The Sacred Band, written in collaboration with her husband, Chris Morris. In I, The Sun, Janet Morris weaves a brilliant, sprawling tapestry of events in the life of this great king of the ancient world, whom we first meet when he is known by his birth-name, Tasmisarri. This historical novel, cleverly written in first-person to stand as the official autobiography of Tasmisarri/Suppiluliumas, begins with the death of his father, the Great King Arnuwandas. Since Tasmi cannot sit the throne until his majority, his uncle Tuthaliyas inherits the crown. But so much can happen until Tasmi comes of age, and so, to keep his own brothers from killing each other — and him, and thus seizing the throne, Tuthaliyas adopts Tasmi and makes him his heir. From that moment on young Tasmi is surrounded by the political maneuverings and machinations of such players as another of his late-father’s brothers, Prince Kantuzilis, whose nature is far more malicious than princely. Even Asmunikal, Tasmi’s mother, has her own secret agenda, and very soon he is caught up in court intrigue, surrounded by enemies and sycophants, becomes embroiled in one military engagement after another, and grows to become a major player in the game of empires. After a nasty winter, Tasmi, Titai and Kuwatna-ziti travel to Hattusas, and from there Tasmi intends to return to Samuha with his wife and new-born son. But Uncle Tuthaliyas, the Great King, orders Tasmi to remain in Hattusas. 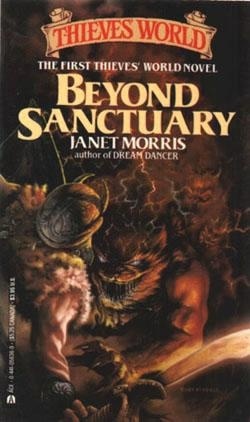 Allegedly, and against Tasmi’s wishes, Titai works magic against the Great King, who grows increasingly ill. (And there is more to her story, to her relationship with Tasmi and her ultimate fate that I will not reveal here.) Soon Tasmi’s thoughts turn toward kingship and how it might best be administered by his own hand. It is a lonely thing to be a king unloved by his land. It is anguish deep beyond measuring, to be a general separate from his armies. Power’s curse comes in an ache behind the eyes from reading and folds around the belly a snakelike girdle of fat from sitting. Never again have I felt such loathing for war and death. Some say it is a thing of youth; personally, I think every man whose word sends others to their deaths must experience it, or become like the stone god Ullikummis; with no heart in him to speak like a mortal man’s.